Are you diligently networking every month as part of your career strategy? If not, you’re not alone. Networking can feel awkward, even for extroverts, and can be a dreadful chore for the introvert. The first part of raising your networking game is to HAVE one. Then there are ways to ensure that every effort you make is more effective, and it takes very little effort compared to the willpower to schedule networking into your calendar and actually show up! Since you know it’s good for your career, and you also know you should be doing more of it, make sure you do it well. Schedule at LEAST one networking event a month and 2 follow-up emails or phone calls afterward. Once you ease yourself into regular networking it gets easier. Schedule it, and show up! You know it needs to be said! If you find networking easy or rather enjoyable, take pity on a friend or colleague who would rather hide in the cloakroom and bring them along to help them raise their game. Be clear about who you are. Plan ahead to be able to answer the question “Tell us about yourself” in a way that makes you memorable. Make your job interesting. 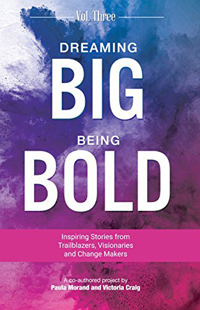 In many years of networking, the people who gave an offbeat description of their job stand out. The Obstetrician who said her job was “catching babies” and had a baseball mitt on her business card; the IT consultant who described his job as “digital firefighting”; or the insurance executive who claimed his job was “right the wrongs that fate dished out”; all were such startlingly clear but unexpected descriptions of fairly ordinary jobs. They remain memorable contacts even years later. Connect instead of sell. Networking is about building relationships, not just selling yourself. Be sure you listen well, and show interest in others. Be generous. Offer to connect your contacts. If you know a great recruiter and have a contact looking for a job, introduce them. Know of a position about to open up in your organization? Give a recruiter the heads-up. If someone is looking for a mentor and you know an expert in the field, connect them. You become more memorable and someone everyone wants to help when you’re valuable to them. Altruistic networking can be easier and more enjoyable than promoting yourself. 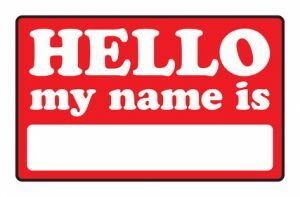 Practice introducing yourself. Some of us find approaching a total stranger and striking up a conversation to be incredibly difficult. Practicing ways to start can give you some confidence. Practice leaving a conversation. One of the reasons people dread networking is the introductions (see #2), and the other is getting trapped in conversations that aren’t productive. Role play ways of ending conversations while still leaving the other person feeling valued and heard. Start your own group. Can’t find a networking event or group that is relevant to your field or industry? Start your own, invite contacts you know and a few you wish you did, and suggest your invitees also invite a few contacts. Make sure to connect via LinkedIn or other social media so it’s easy to announce the next meeting and issue invitations. Don’t forget to invite recruiters who specialize in your industry. Many recruiting firms will offer to help sponsor events, providing funds for refreshments or speakers. Treat it like a job interview. Chances are, you’ll be asking this person to give you advice, a referral, or connect you with someone significant. Take this meeting seriously, and treat your contact with respect. Show up on time, dress well, bring a notebook, and have your questions or request ready. Introduce yourself. Send them a copy of your resume ahead of time or at least bring it with you. Practice your elevator speech so you can give them a brief overview of who you are and what you do. Make it easy for them. Have your “ask” prepared, and make sure it’s easy. Looking for leads? Be specific about what you need. Need a referral? Be prepared to show and tell why you’re a great fit for their organization. Want brainstorming help? Come ready with some leading questions to get the ball rolling. Please don’t ask your contact to email you with a recap of your entire meeting, expect them to do your research for you, or take too much of their time. You’re asking for a gift, so make it painless to give! Stay positive. No matter how difficult the job search or how bitter you feel toward your last employer, don’t let it color this meeting. Keep your conversation upbeat, speak carefully about your other contacts, and your contact is much more likely to walk away with a positive impression of you! Use good business etiquette. Thank them for their time, respect their limits, offer to purchase the coffee or meal, and write a thank you note when you get home. An email thank-you is perfectly appropriate, but there’s never a wrong time for a handwritten note. 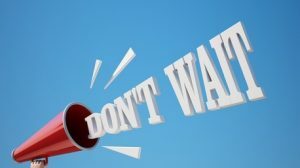 Don’t Wait to Seek an Executive Recruiter! The days of having one or two jobs for a lifetime are gone. A career path in this day and age means multiple job changes, sometimes dozens. From college graduation until our retirement party, we’ll need a relationship with executive recruiters as front-line hiring influencers in order to grow our careers. Don’t wait to seek an executive recruiter until you are in a hurry to find your next job, cultivate a relationship with several in your industry right now, while you’re happily employed. Why network with recruiters when you don’t need one? A positive relationship with a few executive recruiters who specialize in your industry is like taking out job insurance. It’s a little time and effort on your part to benefit the executive recruiters, which pays off in being top-of-mind for your open dream job later. Executive recruiters are busy, even on holidays, trying to find the right-fit candidates in a sea of job seekers for every open position for their roster of clients. 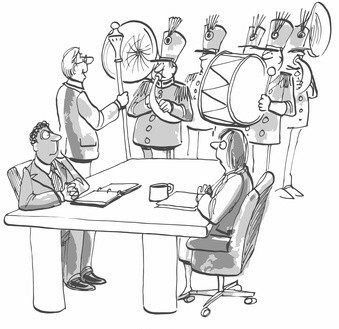 The clients aren’t the candidates, executive recruiters work for the companies with the open positions. 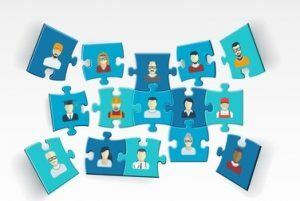 If you pass along names of possible candidates, information on upcoming openings, and relevant industry news, recruiters come to value you as a network resource. In exchange for being valuable to recruiters, your interests and needs will be more important than those of the candidate who has never helped them make money or reach their sales goals. As an added bonus, your name will cross their desktop again and again…making it far easier to connect your name with that perfect job that opened up unexpectedly. Don’t wait to seek an executive recruiter who specializes in filling positions in your industry. Seek them out now, invite them to network events, offer names and news, and become valuable to someone who can help your career grow now and well into the future! Networking events where you’re the new person in the group, or larger group events in a city far from home can be awkward, to say the least. Even extroverts sometimes struggle for something to say to begin a conversation with complete strangers. You don’t want to just lead with your elevator pitch to each new acquaintance. That comes after you’ve begun the conversation, and you already know to stay positive, listen more than you speak, and offer to help anyone you can, and you’ll be welcome at any of these gatherings. So, how DO you start? Here’s a quick dozen opening lines to ease your entrance into a group, or get a conversation started easily and naturally. With a little luck, you’ll make connections worth maintaining over a career! “Hi, I’m Jane, I’m a VP at Nebulous Manufacturing. Are you local, or travelling on business?” This is a way to introduce yourself and ask an easy question to get the conversation rolling. Everyone has a name and knows where they are based! “Hello, I’m Thomas Jones, I heard about this group online from someone who came last month. How did you hear about it?” Comparing who you know and how you heard about the networking event can easily lead to a deeper conversation. “Hi, I’m Dave Jackson. I was admiring your watch; it looks like an antique.” Most people dress for success for networking events, it’s usually quite easy to identify an attractive piece of clothing or jewelry and give a simple compliment to break the ice. Using the food, drinks, or coffee as a conversation starter is an old standard because it works. Do try to ask a question “Does that look like chicken to you?” or “This coffee is quite good for being brewed in an urn.” Stick to the positive, as you never know who has made the effort to arrange the event and the food. From a project at work to an industry-wide issue, ask people what solutions or advice they might be able to offer. Listen closely to the answer, and you’ll find that this icebreaker can lead you to some of the best and brightest in your industry, great contacts to collect! Ask people what they think of industry news, the event speaker, an industry leader, and enjoy the discussion that follows. Choose a topic or person that genuinely interests you to guarantee you’ll be fully engaged. If you’re a sports fan, use that as an opener, especially in season. This is also an appropriate subject to join a conversation already in progress, as the topic is light and casual. “What do you do for fun in your free time?” This is a great way to get to know someone. Once engaged, you can always turn the conversation back to work related topics. “What made you decide to attend this event?” is a good opener. If someone is in a job search, suggest openings that may fit. If they’re new to the area, offer to introduce them around. Everyone has a reason for attending. “In my free time I’m a Big Brother. 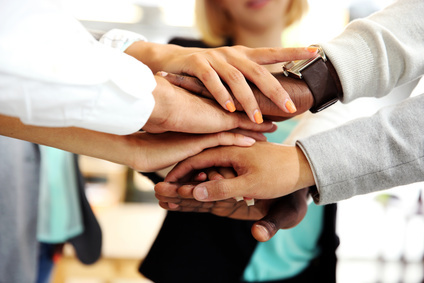 Do you do any volunteer work?” This can start interesting conversations getting to know each other, and gives you a chance to discuss how different companies value their associates’ volunteer work. The old standards do break the ice. Try to stay away from touchy subjects like religion and politics and keep to big national or international events. They’re safer and less likely to offend anyone. Go up to someone on the outskirts who may be a little uncomfortable and introduce yourself as being a little intimidated by the larger groups. Chances are, they are too, and it’s a kind thing to do as well as a smart one. tell ourselves we don’t have the time right now or we can go to next month’s meeting instead. Keep your scheduled network dates as though they were business appointments, after all, they are! Make networking a priority, it will pay off in the end. Lack of preparation: Don’t go to a networking event unprepared. We don’t have to do in-depth research, just a quick overview of what the group is about, a check of the names of attendees, and jot down a note or two about what information or opportunities you can share that might be needed or appreciated. Why go to the trouble? The guest speaker might be a hiring influencer in an organization with multiple open positions. An attendee may be in a field you’d love to learn more about. It’s harder to make these important connections if you don’t know about them. Do be sure to bring your business cards, too, so people can contact you later to follow up. Attire: Pay attention to your attire at networking events. Some happen at the end of a business day, and it may be a simple matter of a change into a fresh shirt or putting on a suit coat to look business-ready. Other events may call for more casual attire, however, even casual networking events call for looking neat, presenting a well-groomed appearance which exhibits business potential. Err on the side of caution, it’s better to be overdressed than underdressed. Etiquette: Another very common mistake is to ignore simple conversational etiquette at a networking event. Despite the purpose of self-promotion, everyone there wants to have pleasant conversations that are interesting, engaging, and productive. Those who engage in high-pressure sales tactics or who ignore others while promoting themselves don’t make a positive impression. Be sure to spend more time focused on other people, be ready to offer something of value (solutions, opportunities, connections), and have your elevator pitch ready for when the focus turns to you. People are far more likely to remember someone who offered something of value! 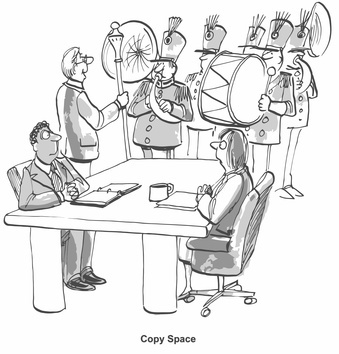 Oversharing: Related to etiquette, oversharing is a conversation ender in any business setting. All-too-personal details about a divorce, date, or family difficulty should be kept far away from the business arena. Parental advice about never discussing religion or politics is golden! Avoid the personal or controversial. Worried you’ll be stuck for topics? Think of a few safe subjects in advance and have them ready when those awkward pauses appear. Asking for a local restaurant recommendation, suggesting a useful computer or phone app, or asking about where to find the best coffee in an upcoming travel destination are all safe ways to fill those awkward gaps in conversations. Losing focus: Don’t forget why you attended a networking event! Remember to promote yourself, hand out cards to people with whom you made a connection, and talk business. It’s easy to get lost in the getting-to-know-you chat and forget the purpose. If you’re in the right networking event, it’s filled with interesting people in the same line of work. Enjoy the chat, but do business, too. Distractions: It’s unpleasant to try to have a conversation with someone who can’t stop looking at their phone. Turn it off, put it in your pocket, and forget it while you network. Make connections now, check the phone later. Other distractions are common as well, juggling resumes, briefcase, and coffee can make shaking hands impossible. That’s a big issue at an event where you’re meeting dozens of new people. Leave the resumes and briefcase in the car. Carry your business cards in an accessible pocket, ready to hand out, and always have a hand free for shaking. Be in the moment, and focus on the people you are there to meet. Follow up failures: Don’t forget to follow up! Networking isn’t just about the event, it’s about building relationships. Put those new contacts on your schedule and touch base with them regularly. This is a great title for a great topic, as a blizzard occurs outside my window as I write. Just because we’re in a season where everybody tends to hunker down and limit their travels, don’t halt your networking. Regardless of what Wiarton Willie and Punxsutawney Phil predict this Groundhog Day, it’s a long time until spring and that means countless opportunities to grow your network and strengthen the ties you’ve already made. This could reap big rewards for your executive career advancement. 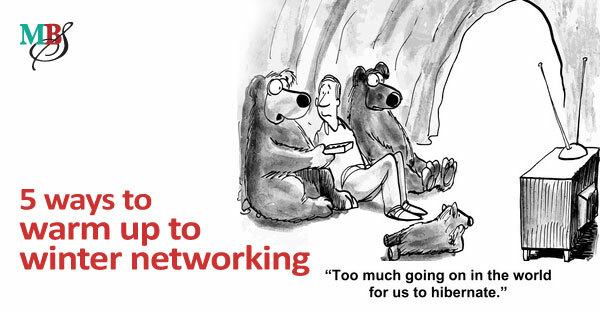 When you’re tempted to hibernate instead of network, consider the opportunities you could be missing out on. At each selected networking event, there will no doubt be someone who can bring you value and will provide a gateway that otherwise would have been beyond reach. Instead of talking about raging blizzards or how difficult it was to shovel your driveway, ask the other attendees about their plans and goals for the year ahead. Ignite enthusiasm and engagement into the conversation. Be open, be expressive, and be engaging. Networking, just like an interview, is a two-way street. What are some of your favourite wintertime activities? See if others share your enthusiasm, or have fun traditions of their own. Or perhaps you can stimulate excitement by talking about warm weather destinations and their plans to vacate these freezing temperatures. Talking about things other than your career is always beneficial, as it builds and fortifies a relationship and solid communications. Remember that life slows down in the winter. If the roads aren’t clear you’ll require extra travel time. Before you get started you may need to shovel the walk and driveway, and clear off your car. On arriving, you’ll also need extra time to stow your coat, boots, and other winter gear. If you live in a wintery climate, you can expect bad weather, snow, ice pellets, black ice, and traffic tie-ups. So pack your patience, an emergency kit, and even a spare set of clothing. Leave plenty of time to arrive at your networking destination. Prepare your infomercial, your poise, your introduction, and your apparel according to your audience. If you need to, warm up with a hot chocolate before you go winter networking. Whatever it takes, just be sure to get out there! There are networking opportunities in all facets of our daily lives, including our religious groups, hobbies, and community involvement. However, it is the dedicated professional networking events that can be most important in your overall career management. There is an art to being a successful networker, and it’s imperative that you give more than you receive. That way, you boost your reputation to many around you as you share ideas and leads. One way to give is to be a facilitator of introductions, by connecting someone with a person who would be a useful resource for them, or even better, matching two people who can help one another. 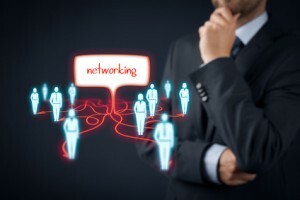 The more networking events you attend, the easier this can be, as your database grows over time. Do be careful, though, when introducing someone to one of your leads, because if that person isn’t of the caliber assumed, your brand with the other person could be at stake. In introducing yourself to a new contact, be eloquent and confident, and articulate a clear and precise message about who you are and what you do. Avoid long words or a diatribe. Keep it memorable and resonating. For some, a networking meeting can be a very lonely event. I have seen many people just wander around alone, looking terribly uncomfortable with the situation. Be bold and approach these people. Initiate warm and friendly conversation to encourage further communication and diminish their reticence to network. Sometimes the best way to help others network is to participate in running a networking group by volunteering for the executive committee. Or if there isn’t a pertinent networking event in your geographic area or industry, why not start one yourself? Taking on these leadership roles speaks volumes to your peers about the hard skills and soft skills you bring to your career and your next executive appointment. Speakers are often the draw to attract an audience and networking with these individuals can be very beneficial in your education, career, and personal development. Be respectful and courteous when speakers are on the stage, by not interrupting their speech with conversation at your table, rattling your cutlery, or using your smartphone. Listen with a purpose, and when the time comes for Q & A, ask some thought-provoking questions that you think others around you would like answered. Inquire with the group’s organizers as to how speakers are selected for their events. Presenting from the stage is a highly effective way to promote your thought leadership and personal brand, while giving value to the audience and supporting the group’s mandate. We are all considered experts in our areas. Share your expertise, time and skills with others to make networking work for you. Downsized. Terminated. Canned. Whatever you want to call it, in the Greater Toronto Area this happens to more than 1,000 new people every single week. 999+ people in the same boat as you, with more joining next week and the week after. So why should you go it alone, when there are most likely many people who are more than willing to support you and champion your goals? As you’re each networking to uncover recruitment opportunities, keep each other in mind. There are bound to be appointments that aren’t right for you, but are perfect for someone else in your group, and vice versa. Instead of being a loner, seek out one of the many career networking groups available in locations throughout North America. They are designed to help you transition and provide the support you need in a group environment. HAPPEN is one such group in the Greater Toronto Area. They are a professional career network that meets weekly in Mississauga. Many of my clients have benefitted immensely from the friendship, collaboration, idea generation, and expert speakers who give their time to share their knowledge in this group. If there is no group in your area, take the initiative to start one of your own, whose sole goal is to act as a confidential and informational forum to provide guidance and support through career transition. This is not an onerous task, and can make you feel more wanted and inspired at a time when your morale can be tested. Find a location where six or eight of you can meet comfortably, such as a coffee shop or library study room. Alternatively, many churches and other institutions always want to help those in need, and may be amenable to loaning you a room. Will you choose to be a loner or a collaborator? 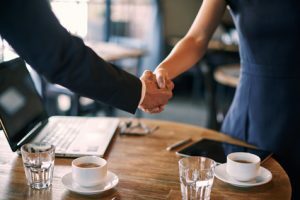 In my experience as an executive career management professional, those who solicit help, guidance and support from others during a career transition are far more motivated and land on their feet quicker. Networking is a conversation designed to construct a relationship, understand each other’s goals and objectives, help find solutions, and generate leads. Networking is an art. Building relationships takes time, patience, drive and determination. It doesn’t happen overnight. 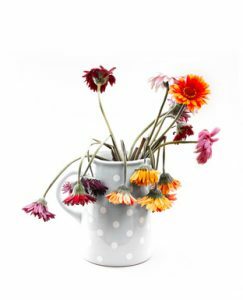 Yet if you’re like many of my executive career coaching clients, you may not always feel enthusiastic about networking, especially when summer fun is tempting you away. 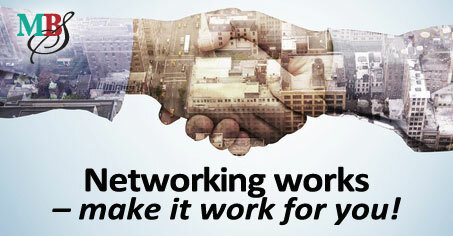 Did you know that just under 80% of jobs in Canada are found as a result of networking? In fact, North America is the most networked society in the world. Entire businesses and careers are formed around this art. I’ve clearly seen that my clients who network with defined goals, both when gainfully employed and in career transition, advance their career considerably faster than those who don’t. Networking is even more effective if you take an opportunistic approach and are willing to expand your horizons. An introduction may not bring value right now, but can reap significant rewards down the road. We all network unconsciously in our daily lives, e.g., building rapport with the cashier at your local grocery or corner store. As they get to know you, and you them, often a deeper relationship evolves, where perhaps the conversation advances to family, hobbies, and your career. These casual exchanges can feel much more natural than business networking settings. Notice the things that make it easier to communicate and build rapport, and make a conscious effort to replicate those methods at your next business event. Remember that the people you meet in your personal life also have an extensive network. Put them all together and there is no doubt you can find someone who works at your target employer, or knows someone who does. 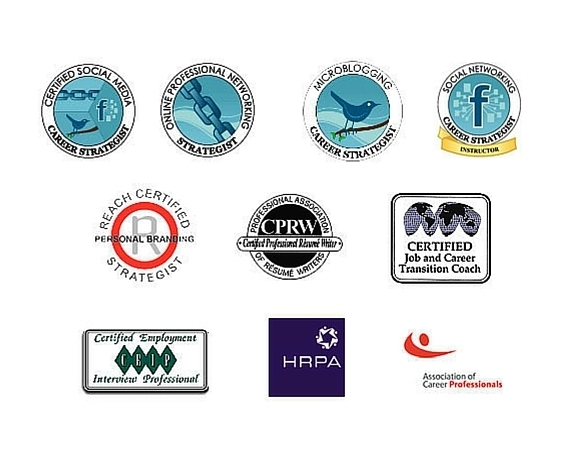 Consistency is important in all your career management activities, including networking. Yet if you’ve been attending the same events, how do you have a fresh conversation with someone you’ve already spoken to so many times? Breathe new life into your conversations with fun, engaging questions that help you discover things about the other person. In between events, use social media and other web research to keep track of people’s promotions, projects, publications and events, and of industry news you can discuss together. Networking is not just for those in career transition. I urge you to keep up with your networking so you’re prepared for an opportunity – or a pink slip – that may come your way. How many new people did you meet this week? How many existing connections did you re-engage?